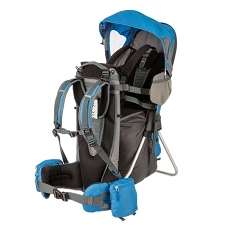 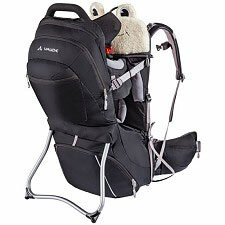 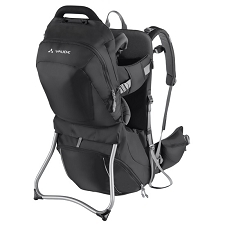 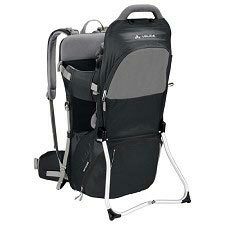 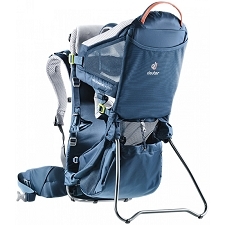 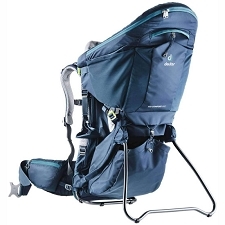 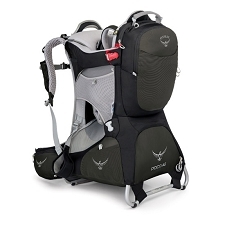 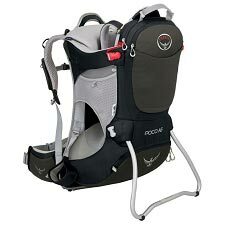 Comfortable and fully−featured child carrier. 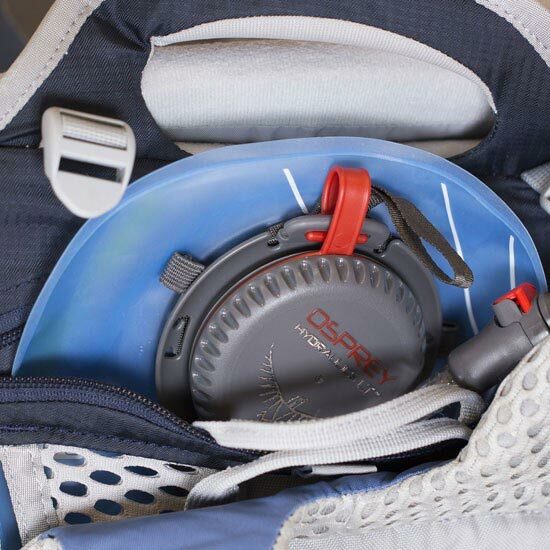 Equipped with an AG AntiGravity™ 3D suspended mesh backsystem, the Poco AG Plus now offers higher levels of comfort and ventilation than ever before. 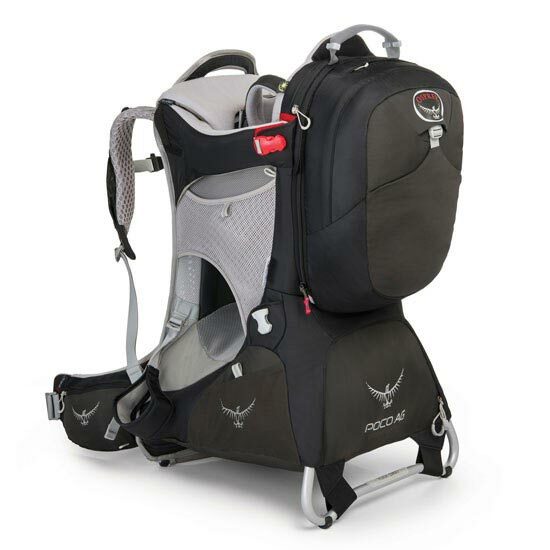 Designed with three people in mind, mum, dad and child, the back system and child saddle are adjustable to suit both parents and child. 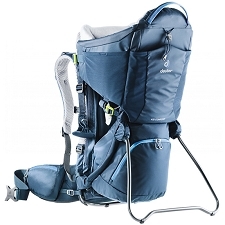 The backsystem features a Fit−on−the−Fly™ adjustable hipbelt and adjustable torso length for when switching the child carrier backpack from mum to dad. 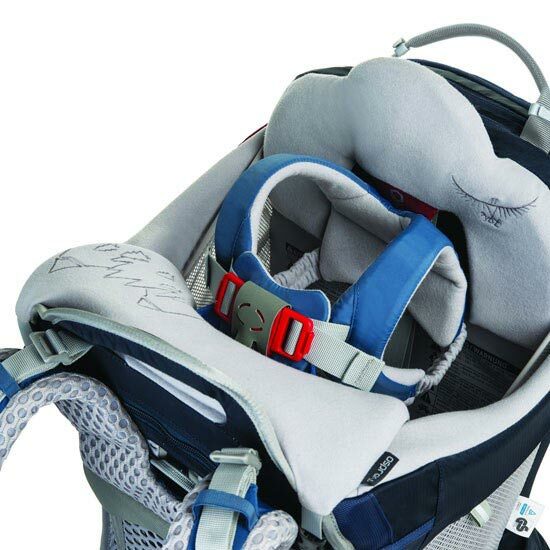 The child safety harness, seat and foot stirrups are also adjustable to fit a wide range of child sizes, shapes and weights. 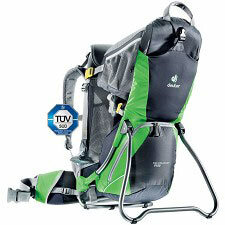 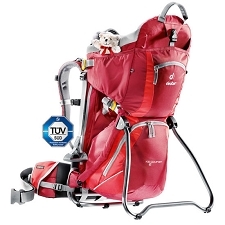 Child safety is at the forefront of the design and this product has the TÜV GS safety certification to prove it. 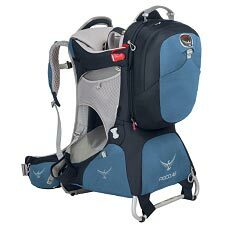 A trip with young children usually means carrying more gear and it’s important to have essentials like biscuits & water bottles to hand. 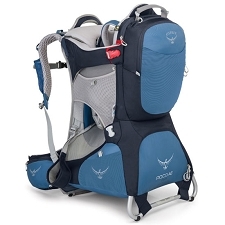 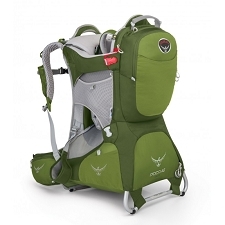 The Poco backpack solves this with easy−to−access on the go mesh side pockets and zipped hipbelt pockets. 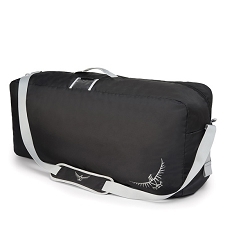 The main zipped compartment beneath the child seat stores your bulk supplies. 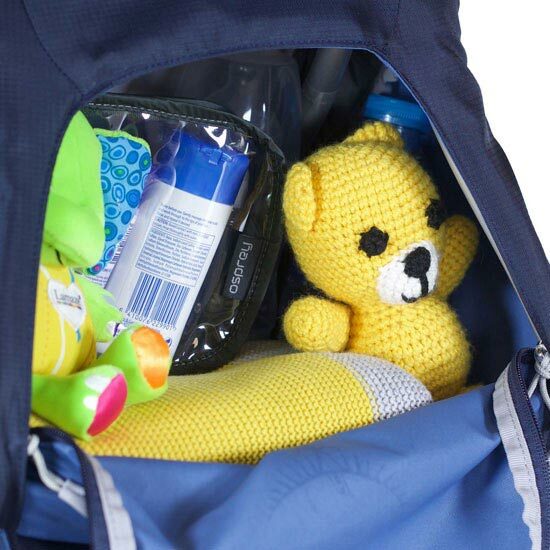 We all like the sun, but especially as parents need to be aware of sun protection. 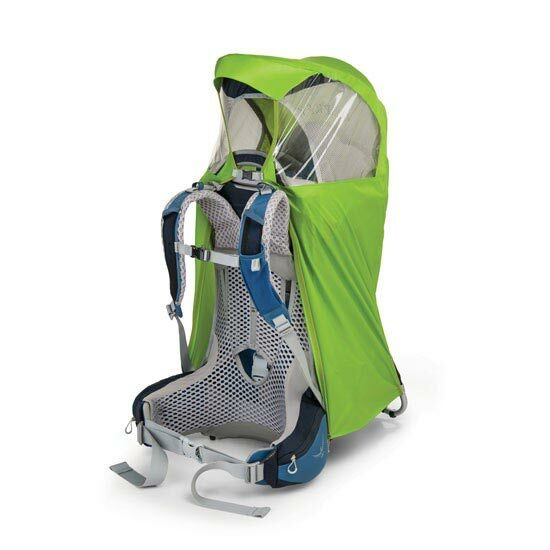 The rapid deploy Poco Sun−Shade, with an SPF50 rating it protects your little cargo from harmful sun rays, making the perfect shaded spot for an afternoon nap. 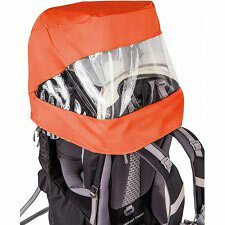 When the weather takes a turn for the worse, deploy the integrated raincover to protect your little one from heavy rainfall. 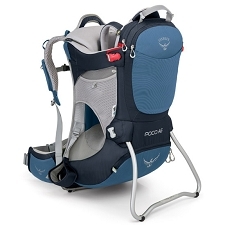 The Poco is also easy to fold away and store for when you’ve enjoyed your family day out and are ready to pack up and go. 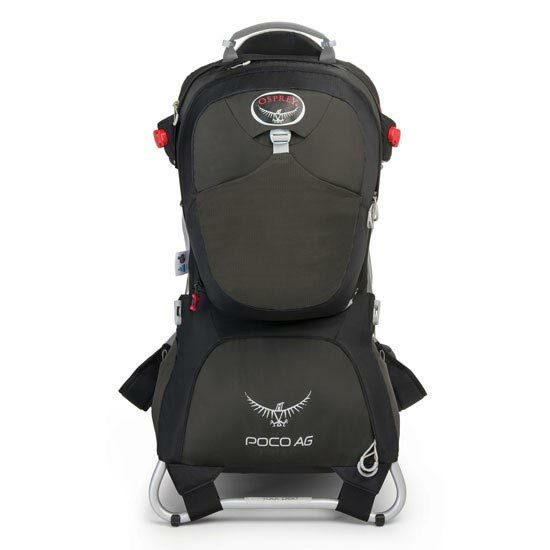 Customer Opinions "Poco AG Premium"